We grow and sell top-quality fruit, including cherries, yellow and red raspberries, currants, blackberries, peaches, apricots, and plums. Delivery service available. It produces fruit, not fruit trees! After much hard work, I have finally been rewarded! 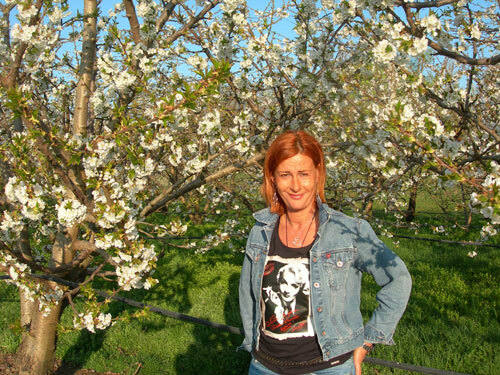 Rossi Roberta Farm has received the recognition it deserves! I grew up with this land and with a love for the job that my father, Vittorio Rossi (sadly, no longer with us, but guiding me in spirit), passed on to me with such skill and care. Dedicated as ever to the art of fruit growing, the farm now proudly presents its new 'wardrobe'. 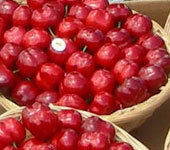 Dressed with brand-new, carefully chosen fruit trees, our farmland produces a wide range of different cherry varieties. 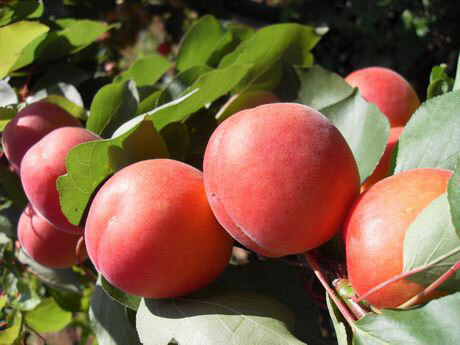 A medium-strong, slow-fruiting tree, this variety is constantly productive. The fruit is medium in size (8-8.5 g), heart-shaped, and features a very dark, glossy red skin, and a sweet, juicy, red medium-firm flesh. 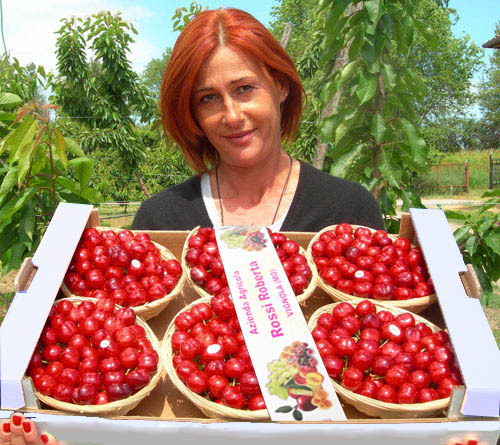 In the Italian town of Vignola (famed for its cherries), ripening takes place around 25 May. 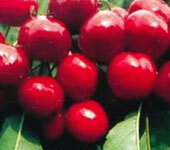 The strengths of the Prime Giant cherry include its size, texture, and its enticing appearance. It has, indisputably, good flavour. The weak points of this fruit is that the growing cycle is not constant and some years cracking may occur. Producing one of the largest sized fruits , this variety is rich in colour and has good flavour. Its uniqueness lies in the slightly tangy of the skin, which sets off the fruit's flavour perfectly. Other plus points are that it is great for storing, less prone to cracking, and offers a high crop capacity. Ripening takes place in June. A vigorous tree, erect with a spreading habit, with a regular crop capacity, and a medium-late bloomer. 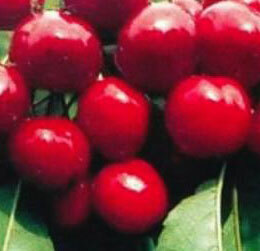 Medium-sized fruits, almost oval in shape, which are slightly asymmetrical and feature a marked suture line; a deep red hue covers around 60-90% of the skin, against a creamy yellow background. 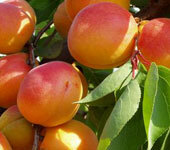 Orange flesh with a good texture; an appealing, rich, balanced flavoured. Ripening takes place in the first ten days of July.